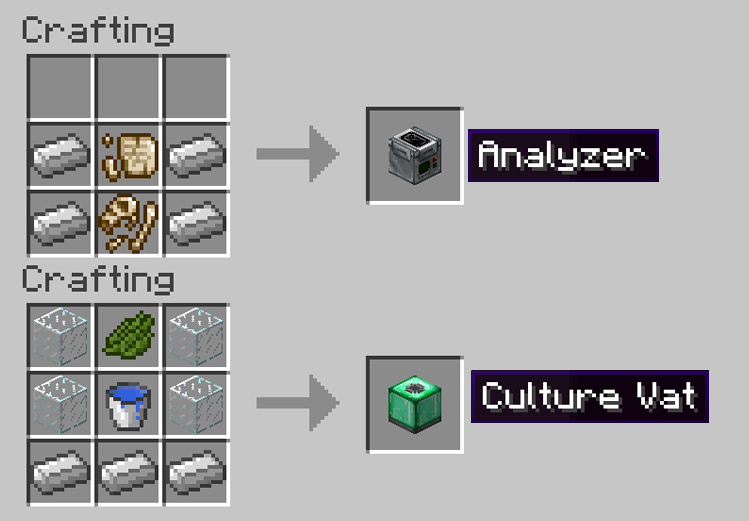 Fossils and Archeology Revival Mod 1.12.2/1.7.10 offers a variety of dinosaurs that are brought back to life through discovering bones, extracting DNA, creating Embryos, and making eggs. Along with dinosaurs there are other prehistoric creatures such as mammoths, smilodons, terror birds, dodos, and more. The key to unlocking an adventure into the depths of your Minecraft world’s history! 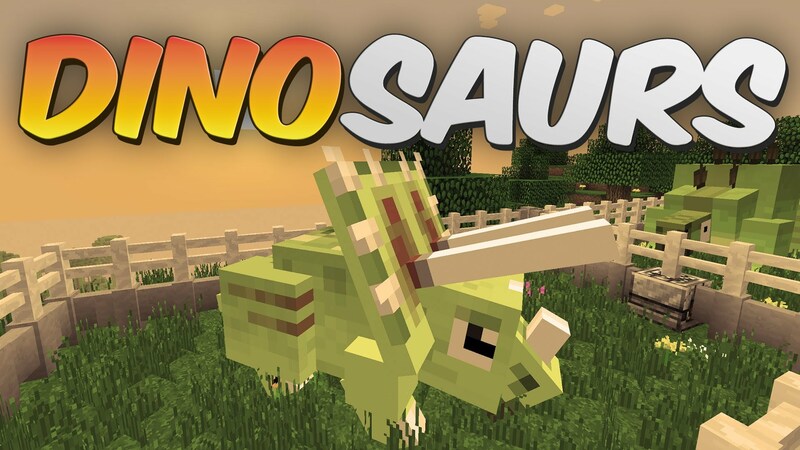 This mod adds a wide assortment of mobs to Minecraft, from the innocent archaeologist villager to the powerful Spinosaurus. A great majority of them are prehistoric creatures that the player has to create. Many others are hostile mobs that reside near Anu, the boss mob of the mod. This mod adds a wide variety of blocks to Minecraft. These blocks can be crafted or occur naturally in the world. Volcanic Ash and Amber Ore can only be gotten through Creative Mode. This mod adds many items to Minecraft. These items can be crafted by the player or dropped from blocks or mobs. They range from plant and animal items to mysterious relics from ancient civilizations. Some of these items are tools that can be given enchantments that are unique to the mod. Spawn eggs, regular amber, magic conch are only available through Creative Mode. It contains many types of naturally spawning structures and terrain that are created in new worlds that can be very valuable if found. The structures in the mod are mostly based on the buildings of ancient civilization or natural prehistoric structures such as underground materials or plants. They are currently a minor part of the mod but there are plans to expand it. Mod achievements can be found by pressing escape ingame, clicking ‘Achievements,’ and pressing ‘Minecraft’.